Have you noticed that quite a few estate and letting agents are now promoting ebooks? Are you wondering why they have decided to become authors? Are they just being indulgent? Perhaps you’re wondering if they are one of my clients?? (Probably.) Maybe you’re thinking you’d like to create one too, but haven’t got a clue where to start? 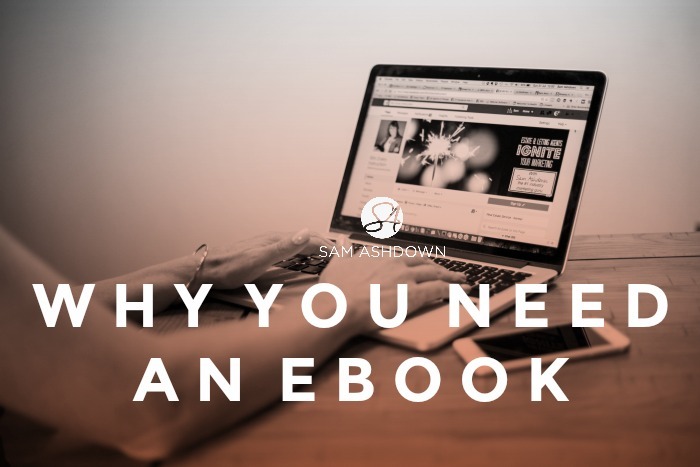 For the last couple of years, I’ve been teaching my clients how to create an ebook they can be proud of, and what to do with it once they do. But first, let’s look at WHY you would want to consider writing an ebook. After all, you’re an estate or letting agent, not an author, right?? I bet you’re a terrific estate agent. You help people buy, sell, let and rent, holding their hands throughout the process and making sure their journey runs as smoothly as possible. But you only get the opportunity to do this when you are instructed by your client. And you only get chance to be instructed, when you get through the door in the first place. And that’s where you need really, really good marketing. Because every one of your competitors is trying to get through the exact same doors as you are. So now we know that to get to do the thing you’re really good at – helping your clients – needs the bit you may not be so good at – marketing – to work first. What are you doing right now to get through more doors? If you’re digitally savvy at all, maybe you’re also adding social media and paid traffic to your marketing mix. How’s your marketing working for you? Do you feel it’s a constant struggle to get the diary filled with quality market appraisals? That sometimes you’re so busy dealing with follow-up calls, staff issues, viewing requests and the general day-to-day organised chaos that’s involved with running a sale or letting agency, that you don’t seem to get a minute to actually think about marketing? Until you look at your bottom line and see you’re just not making the profit you should be? That’s when having your own ebook makes perfect sense. You see, an ebook can be a really good hook to attract local home sellers and landlords to let you know they exist, and signifies to you that they are interested in what you have to say. Let’s use a real-life example. Imagine you’ve written a book called 20 Ways to Sell Your House in Colchester for the Asking Price. Pretty snappy title, don’t you think? Now you choose three methods to send traffic to that ebook, maybe paid traffic (eg Facebook ads), leaflets, and your database. Let’s imagine that over the next few weeks, you have 500 people subscribe to get your ebook. What do we know about these people? 5. They are digitally savvy (ie they have an email address and know how to request your ebook online). That’s pretty good information you already know about these 500 people. Now we know that people move home on average around every 8 years. So statistically, from any random group of homeowners, 12.5% will be thinking about moving in the next 12 months. But these are not a random group of homeowners. They are much hotter than that. Look what we know about them; I’d estimate that at least a third, if not half of this group, will probably plan to sell their house in the next 12 months. Maybe more. That means you have 250 potential market appraisals in this group alone. Using statistics from other clients I’ve worked with over the past couple of years, I’d say you could easily generate 10 – 20 market appraisals from this group of people, using my lead nurture strategy and respectful, carefully-timed invitations to get them on a phone call with you. How do you go about creating an ebook? 1. Decide who to target – first time sellers, upsizers, downsizers, or if it’s landlords you want, choose from newbies, accidentals (inherited or moved out) or professionals. 2. Choose the right title for your target reader, eg How to rent out your Student Accommodation for 20% More, or 12 Steps to Selling Your Bungalow in Cornwall. Make it specific, so only your target market will be attracted to it. 3. Cover design – commission your graphic designer to come up with an eye-catching and on-brand cover for you. 4. Write your ebook – I’d suggest you aim for 5,000 – 10,000 words. You’re not trying to write War and Peace, but nor should this be a ‘pamplet’. Aim for quality and substance, without overload. I write mine in PowerPoint, but Word can work just as well. 5. Add photos to your ebook – your own, not stock. They need to be engaging, attractive and colourful. 6. Create the final version – add the cover and create a PDF from your finished document. 7. Promote your ebook – everywhere! Previous post How much profit do you make? Next post The Add £100k Challenge – are you in?